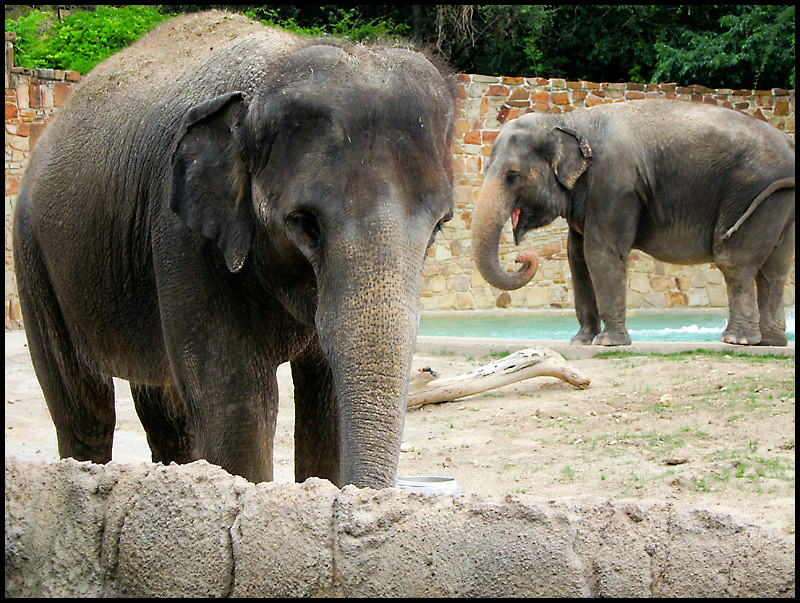 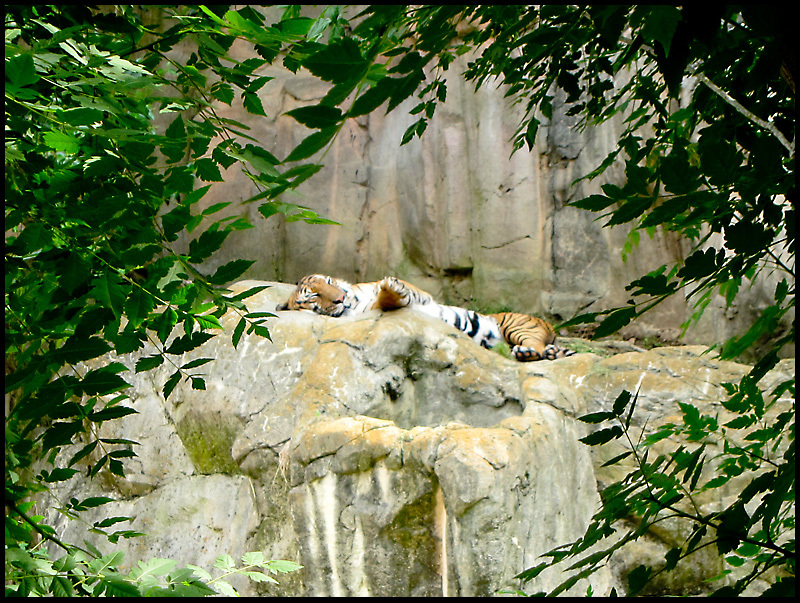 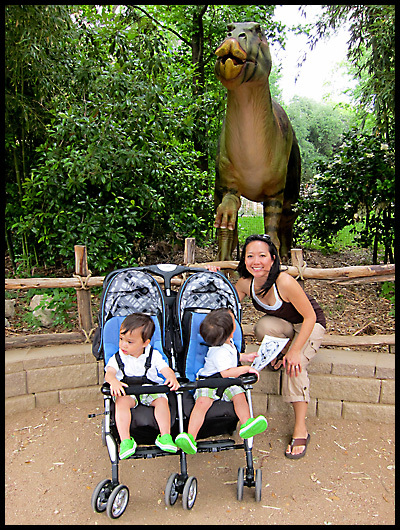 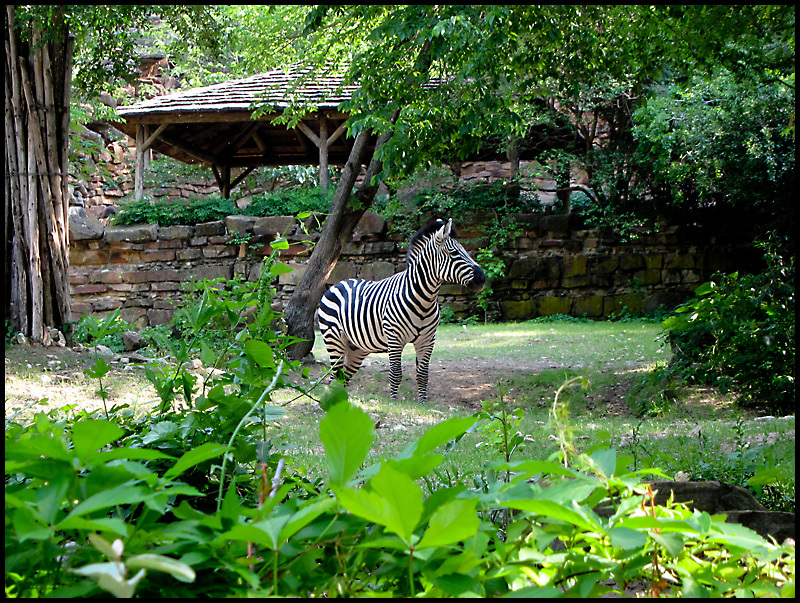 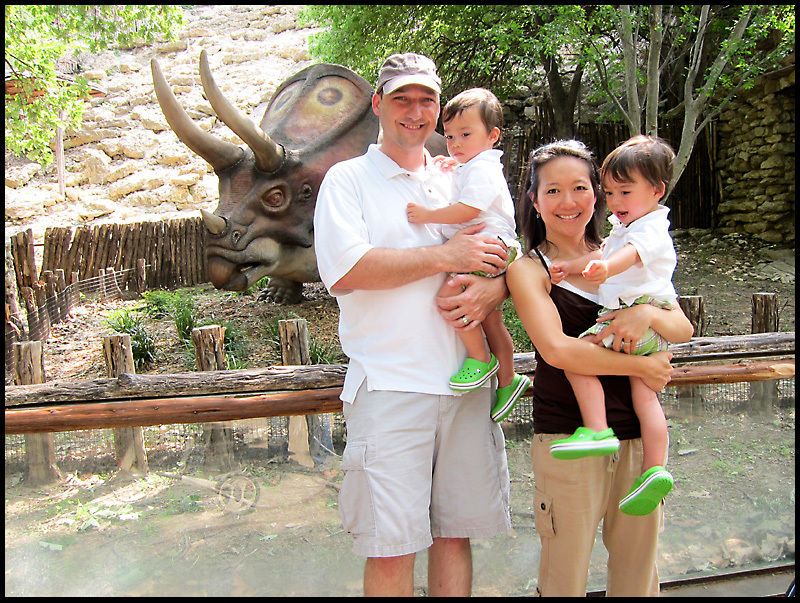 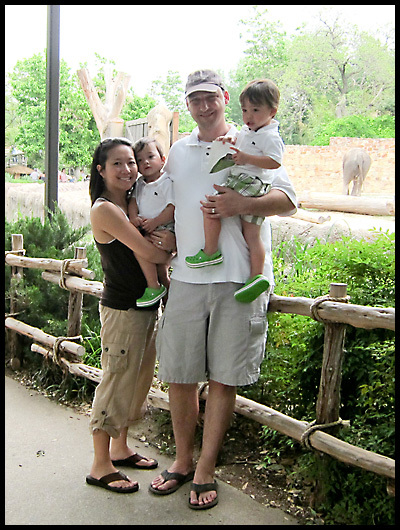 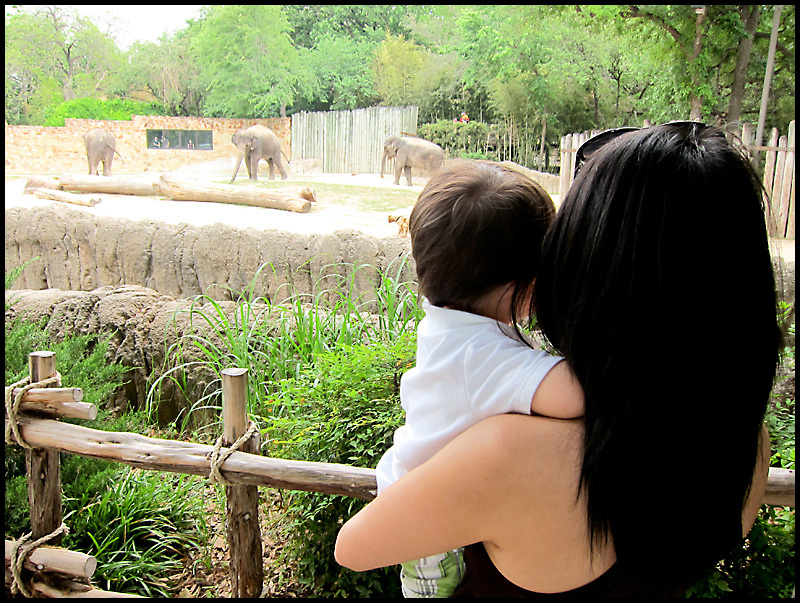 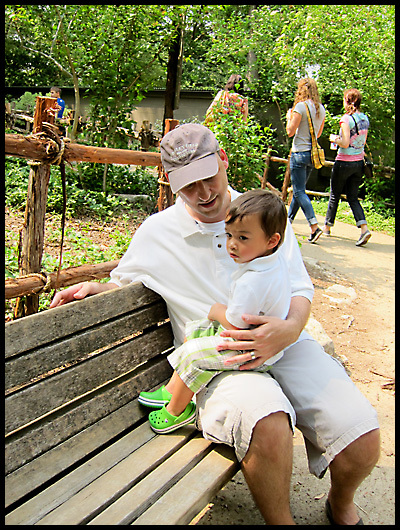 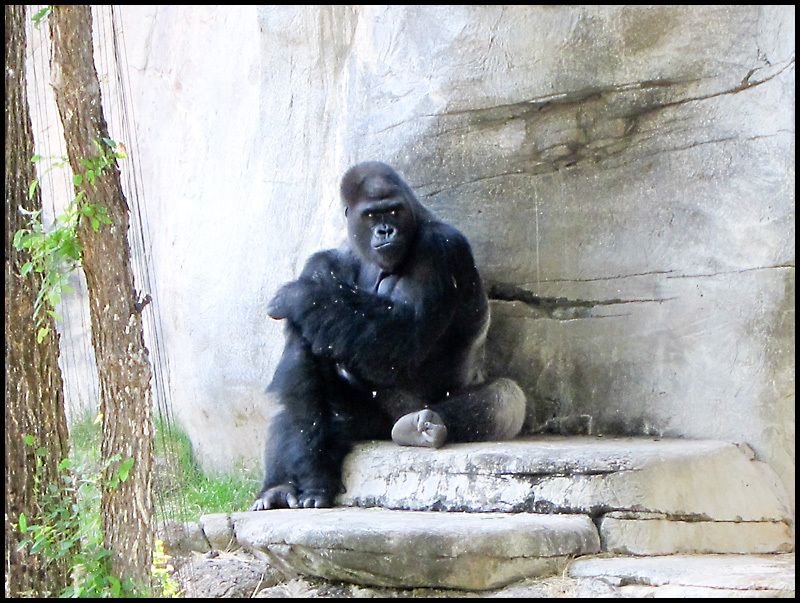 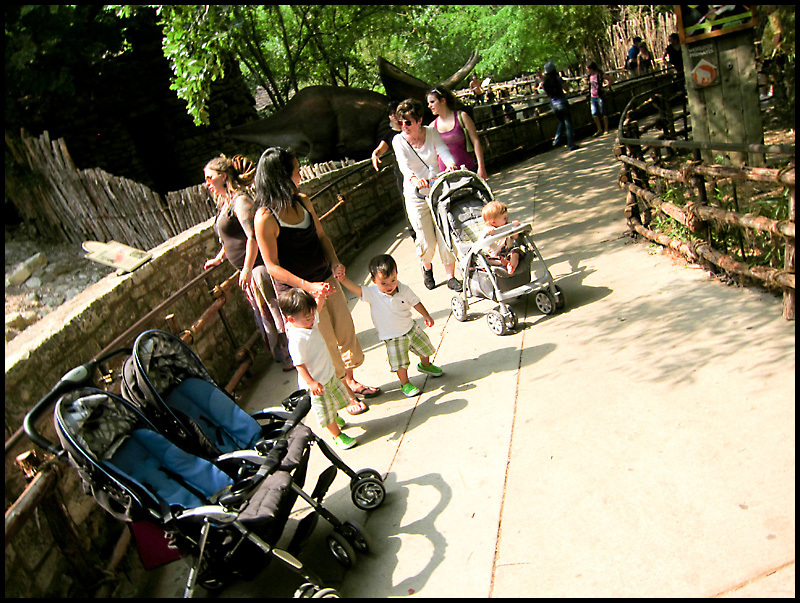 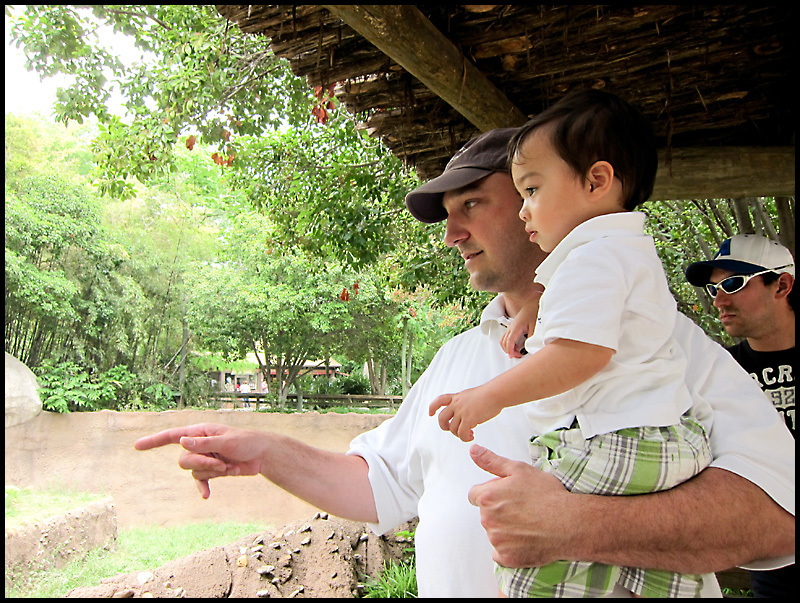 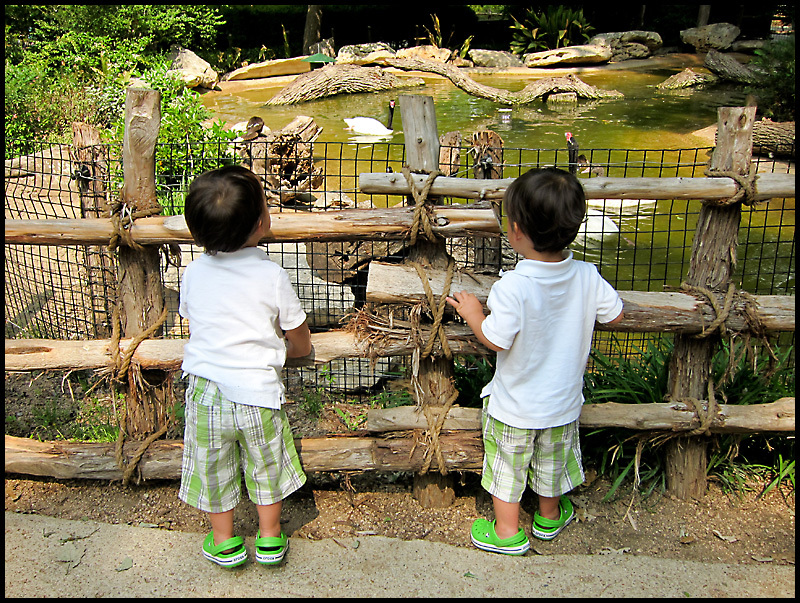 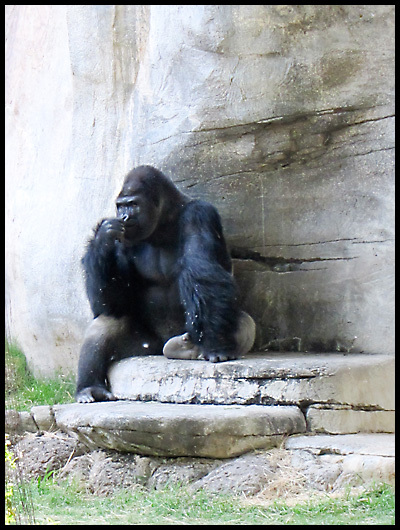 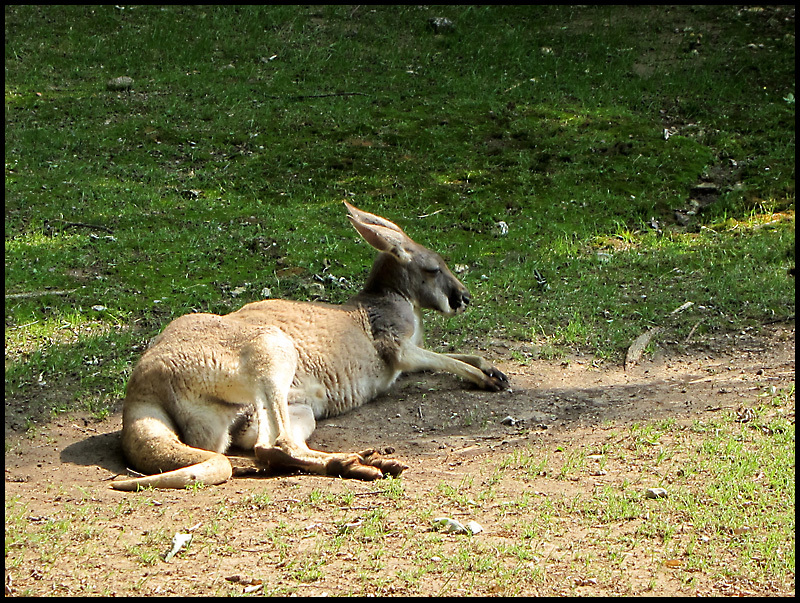 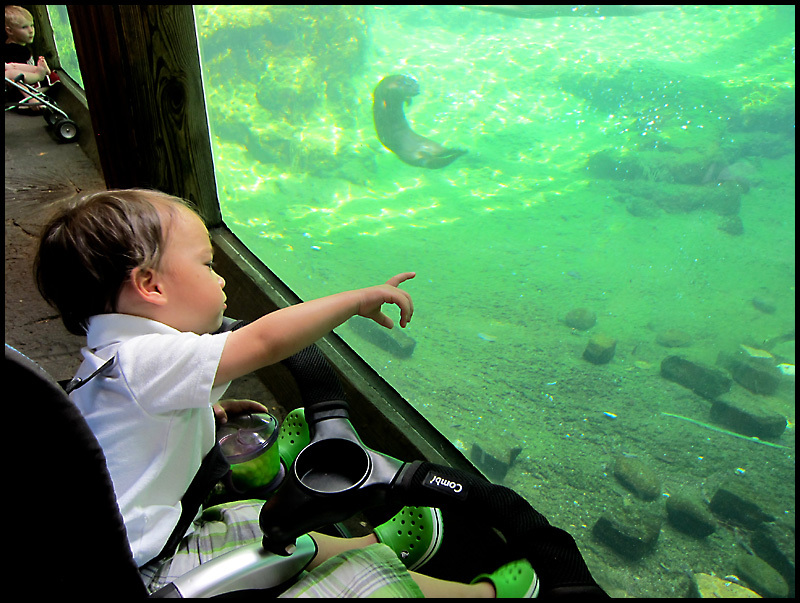 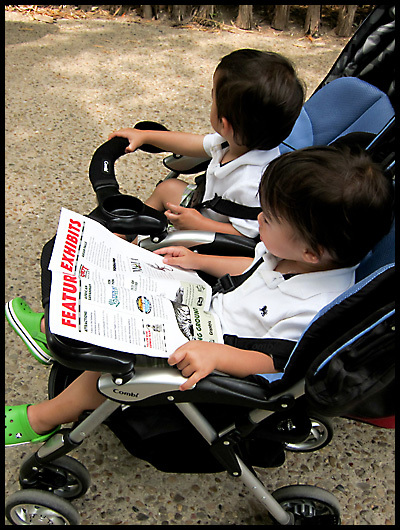 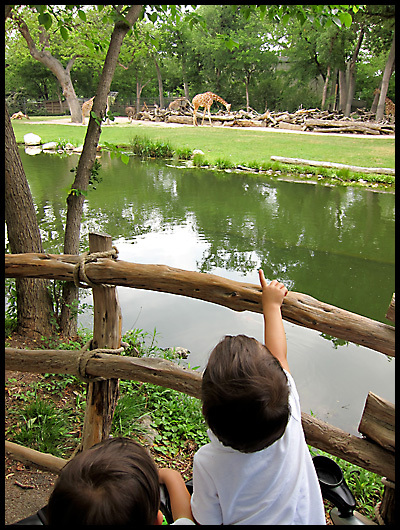 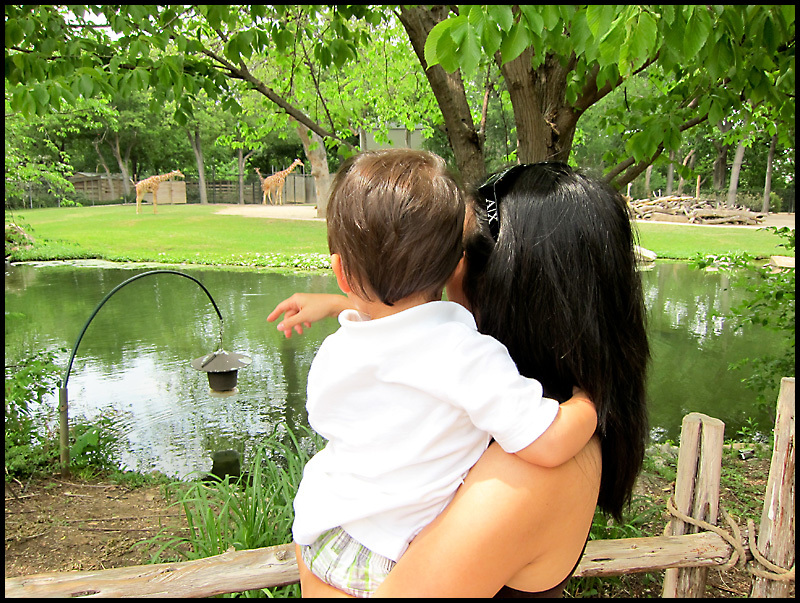 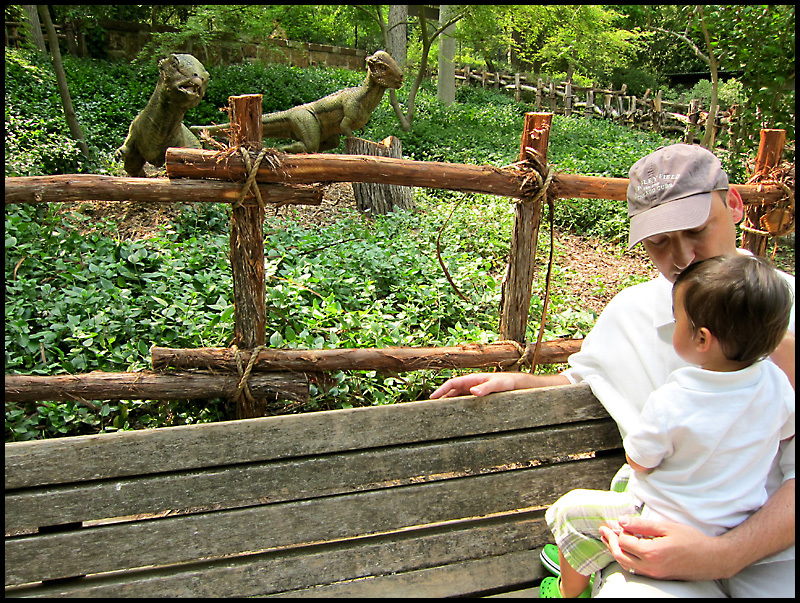 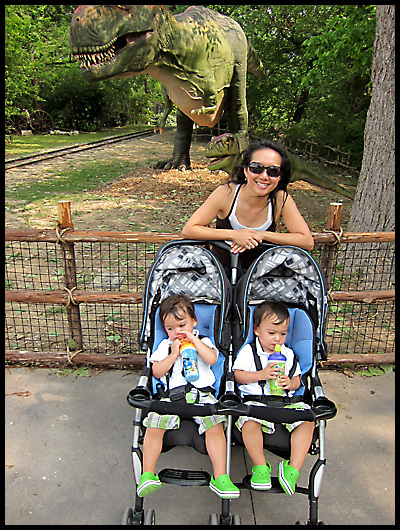 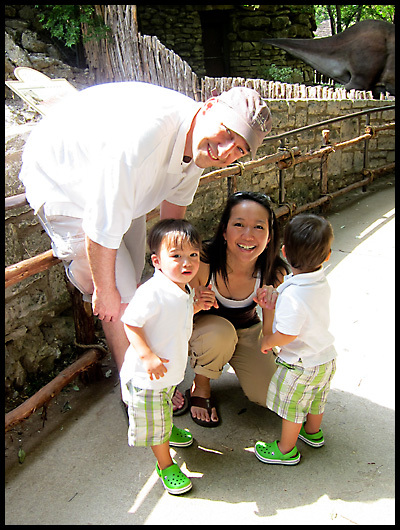 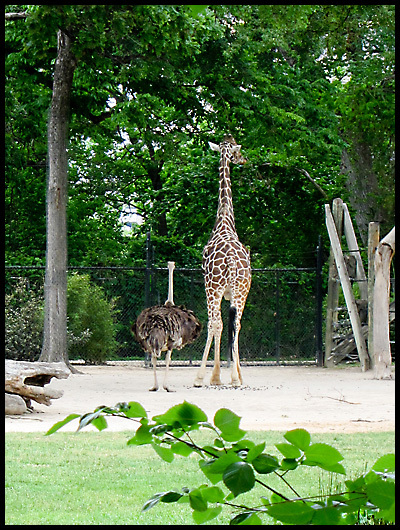 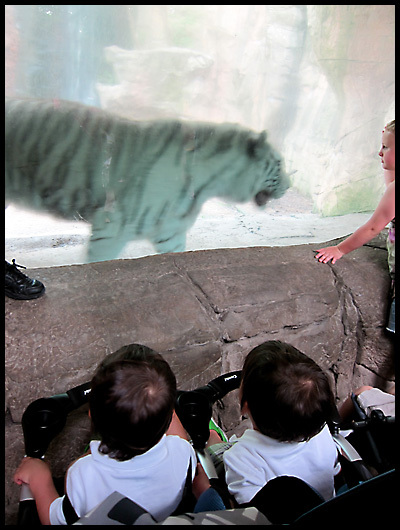 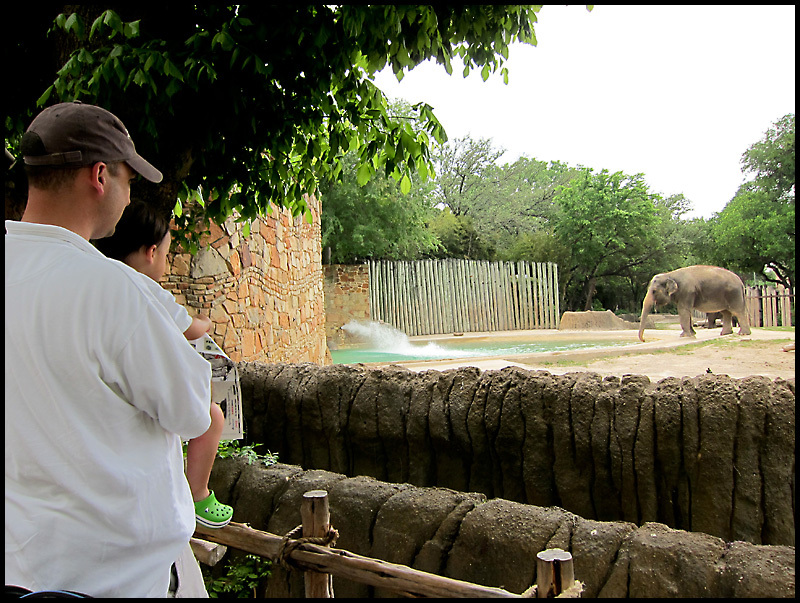 About a month ago, we took the boys to the Forth Worth Zoo for the first time. 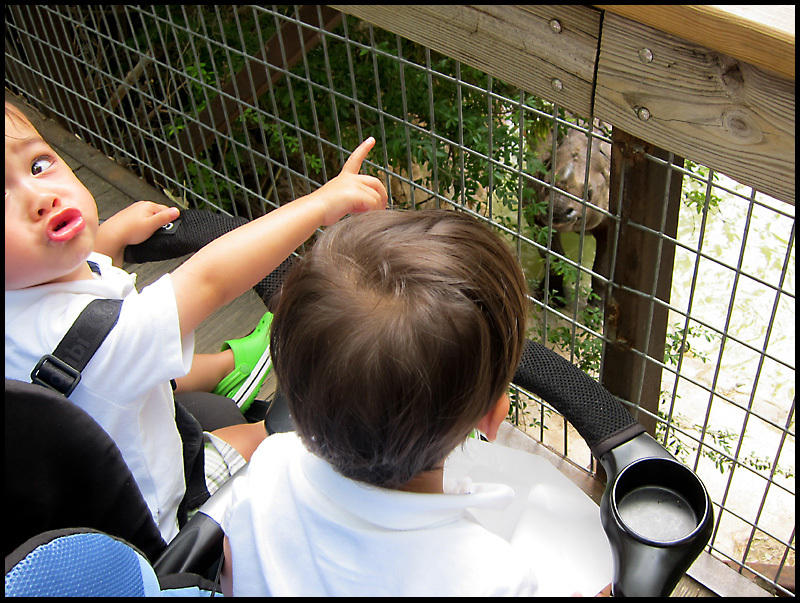 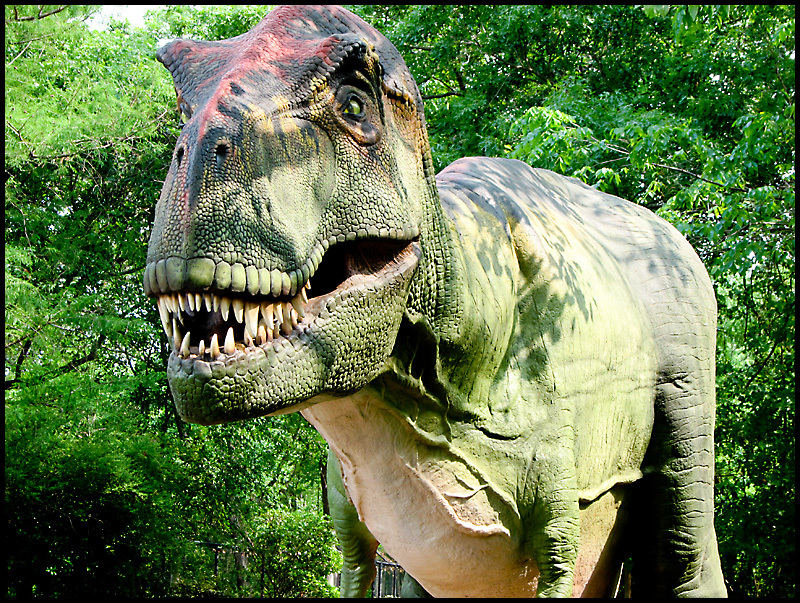 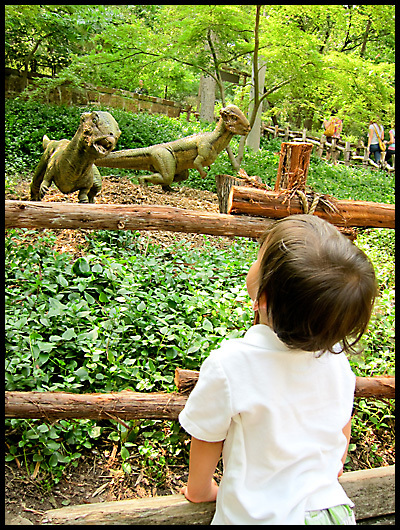 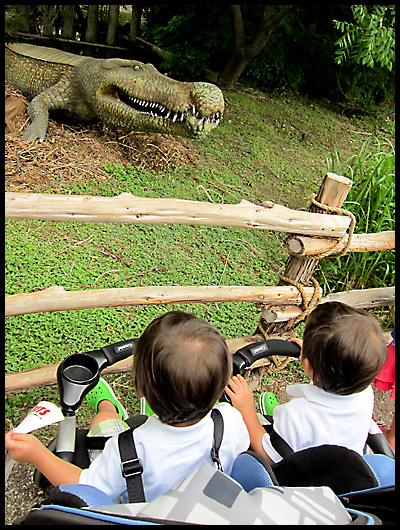 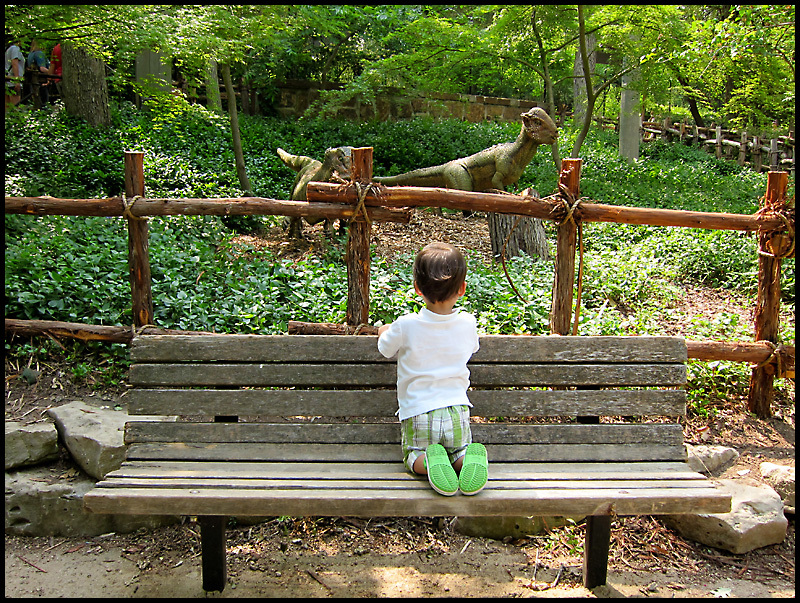 We knew the boys would love seeing all of their favorite animals, but we were especially excited about showing them the dinosaur exhibit that the zoo was currently having! 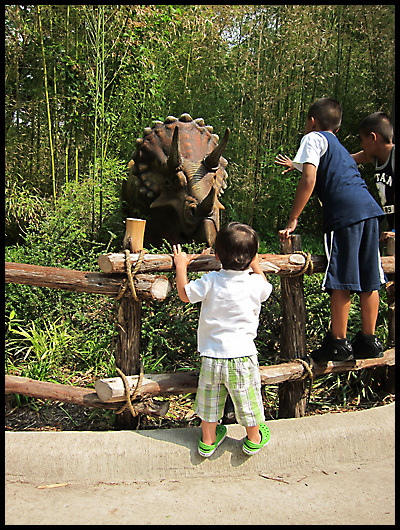 I love that they're still at an age when they can't differentiate between a live animal and a statue... the only problem is that they now think dinosaurs are real since we did see them at the zoo! 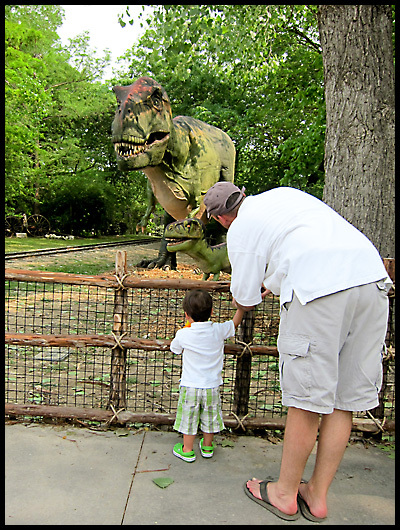 I can understand why... T-Rex looked scary!